Rafael Trujillo, El Jefe, ruled the Dominican Republic as dictator from 1930 until his assassination in 1961. Trujillo gained prominence after the U.S. occupation in 1916. He joined the National Guard in 1919, trained with U.S. Marines, and earned the rank of general only nine years later. In 1930, a rebellion broke out against President Horacio Vasquez. Trujillo made a secret deal with rebel leader Rafael Estrella Urena whereby Trujillo could run for president in new elections. Estrella’s rebels were allowed to capture the capital and Trujillo, the only candidate allowed to run, claimed victory with 95% of the vote and immediately assumed dictatorial powers. His reign was marked by bloody massacres, stringent laws, and an overbearing personality cult. His rule is considered one of the bloodiest in the Americas and responsible for more than 50,000 deaths. On May 30, 1961, members of the underground opposition succeeded in assassinating the man Ambassador Joseph Farland deemed “a two-bit dictator.” (Read his account.) The efforts of the Trujillo family to keep control of the country ultimately failed. A military uprising in November and the threat of American intervention put an end to the Trujillo regime. 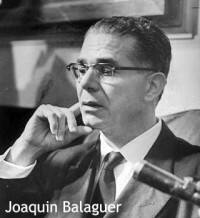 President Balaguer allowed Trujillo’s son Ramfis to relocate his father’s body to Paris, and then later to a cemetery near Madrid. Henry Dearborn, originally Chief of Mission, then Consul General, talks about his communications with the opposition, the events of that fatal night, and his briefing with President Kennedy afterward. Dearborn was interviewed by Charles Stuart Kennedy beginning in 1991. You can also read about the Dominican Civil War, which followed soon after the assassination. DEARBORN: Trujillo had already begun to sense that [Ambassador] Farland was talking to the opposition, which, of course, was a no-no. There wasn’t supposed to be any opposition, but every once in a while you could be caught talking to somebody he didn’t want you to talk to and you would hear about it. So relations were not too good…. The pressures from human rights and other groups on the Department and our government had been such that the U.S. government attitude was turning around by that time. While Farland was still Ambassador there was a plan drawn up for cooperation with the opposition and letting them know that if they succeeded in overthrowing Trujillo, we would favor them. We called them the pro-U.S. opposition…. This was a plan drawn up and approved back in Washington. Farland was there until May 1960, when I became Chargé. In August we severed diplomatic relations with the Dominican Republic as a result of a meeting of Foreign Ministers in San Jose, Costa Rica. All the American Republics voted to sever diplomatic relations with Trujillo because of the pressure put on them by Venezuela because Trujillo was caught red-handed trying to assassinate President Betancourt of Venezuela. It was indisputable. His agents were caught. The Venezuelans insisted that solidarity be shown on this. We were not averse to that because we were pretty much put out by him ourselves by that time. Then, I think it was August 21, when diplomatic relations were broken, we continued consular relations. So I switched to being Consul General…. I always said this was the only time that I chose my own ambassador. There weren’t many left once all the Republics of the hemisphere broke relations. But there were the British, Canadian, Chinese, Japanese, French, Italians — I think only about ten embassies left. I recommended to the Department that they ask London if the British ambassador could represent us. He was one of the no-nonsense-about-it types. My judgment at that time was proved correct, because he was great…. A couple of weeks later a CIA message came from Washington (the CIA types had to leave with all the rest) asking me if I would be willing to carry on the CIA station chief job. Ambassador Farland had had contacts with the opposition and had brought me in on them…. They were very skittish, having had bad experiences with American embassy people in the past. Things had gotten back to Trujillo, so they really didn’t trust anybody. But they had gotten to trust Farland and me. So I carried on the contacts with the opposition, reporting to CIA. We were using all these weird means of communication because we didn’t want to be seen with each other. Things like notes in the bottom of the grocery bag, rolled up in cigars, etc…. They were asking us for advice at times. They were asking us for help at times. We didn’t always give them what they wanted, but they knew that if they got into power that we would be supporting them. They also kept being hopeful that we might help them in more ways than we might be willing to. For instance, they told us that they wanted to do this by themselves, but they wanted our help. As time went on and Trujillo didn’t collapse, they began to have more violent ideas as to what they might do to him. Eventually they developed a plot which, because of my close relationship with them, I was fully aware of. He was assassinated on May 30, 1961. I knew they were planning to do it, I knew how they were planning to do it, I knew, more or less, who was involved. Although I was always able to say that I personally did not know any of the assassins, I knew those who were pulling the strings. I knew everything except when. The only reason I didn’t know when was because they didn’t know either. There had to be a certain set of circumstances when they could put their plan into action. The last few days were rather hairy because I had told the Department via CIA communications (I had a different typewriter on which I typed out my messages to the opposition, so that it wouldn’t be traced to embassy typewriters) all about the plan. The night of May 30, 1961, the Chinese ambassador was giving some kind of a money-raising thing at the country club for charity, to which I went. We started back around 11:00 and ran into a roadblock along the ocean highway. They were stopping all cars and making everybody get out. They looked in trunks, pulled up rugs, etc. I had a CIA fellow in the car (along about January the CIA had sent a couple of people in to the consulate) and I said, “Bob, this is it. I am sure this is it.” They wouldn’t let us continue on that road; they sent us back along another road into town. We got to the embassy, where I had been living for about a year, and the telephone rang and one of my main contacts of the opposition said, “It is over, he is dead.” I knew immediately what happened and went down to the office and sent off a message to Washington…. It wasn’t for another day or two that the general public knew that Trujillo had been assassinated. They didn’t give out the information right away. What happened was Ramfis [Trujillo’s son] was in Europe. The minute he heard about it, he chartered a plane and flew back to the Dominican Republic. Balaguer was the civil leader, but Ramfis was still head of the air force. The family was definitely a group to be reckoned with. Balaguer wasn’t completely independent even now that Trujillo was dead. The assassins picked the time they did it because the circumstances were right. They knew on some nights he went to visit his mother and after visiting her he would get into a nondescript car and drive along the coastal highway to see his mistress. He would do that completely unscheduled and didn’t worry too much about it because nobody knew in advance. But the opposition had a spy in the garage who reported to them that this was the night. So they had two cars mobilized. One got in front of his car and one got in back and they forced him off the road. He had a gun but they overpowered him and killed him. That is how it happened. Then they didn’t know if at the time of the funeral the family or the opposition might cause some problems. So I didn’t dare go to the funeral, because I was afraid I would have to call in the Navy, which was just over the horizon–the biggest naval force since World War II was sitting just over the horizon– and didn’t want to go away from my communications. I sent the number two man to the funeral. So there were all sorts of speculation as to why I hadn’t gone to the funeral. About a week later, I received a phone call one morning at 7:00 a.m. from Ted Achilles, who was with the Task Force in the Department. He said, “Henry, we want you, your wife, and the children out of there on the noon plane. We think you are in danger,” the concern being that Ramfis and his group had killed all the assassins except for two and was unpredictable. So I said, “There is no noon plane, but there is a plane to Puerto Rico at 2:00 and I could get on that, I guess.” …My wife went through the house…. I went to the office, where we were pretty streamlined by that time. We even had our secret files in a burn barrel ready to burn up, because we didn’t know what was going to happen. About a month before that we had gone through everything and shipped back to Washington everything that we didn’t absolutely need, because…we didn’t have diplomatic immunity anymore. Trujillo was good at staging things and could have staged a raid on the Consulate General and disclaimed any knowledge of it. I also took the occasion to tell him that the way that some respectable citizens of his Dominican Republic were being treated was not making a very good impression abroad and was hurting his government. That was the last time that I saw him. I left the county on June 5…. On June 7 I attended a meeting in the White House with the President and the main subject was the DR…, certainly the most imposing [meeting] that I ever attended. In addition to the President there were Vice President Johnson, Secretary of State Dean Rusk, Secretary of Defense Robert McNamara, Attorney General Robert Kennedy, CIA Director Allen Dulles, J.C. King (also of the CIA), and Acting Assistant Secretary of State of Inter-American Affairs Wymberley Coerr. The President asked to be informed on what was transpiring in the DR and then he asked for suggestions as to what was likely to happen next and what our position should be. His questions were directed to Dean Rusk, but Rusk deferred to me for response…. 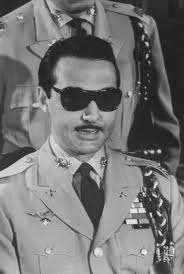 I reported on my meeting with Balaguer of June 4 in which he said that he did not require our assistance for the time being, as Ramfis had agreed to respect the civilian authority. As I recall, I said that I did not believe there would be a bloodbath, though there might be isolated vengeance killings. I also said I thought that we should continue to support the pro-U.S. dissidents, since as long as the Trujillo family was in the DR, they would try to control the country and the reprehensible conduct for which they were noted would be perpetuated. I remember Kennedy saying that he wanted to be sure that whatever replaced the present government was acceptable to us. He did not want the government overthrown until he knew what would replace it.